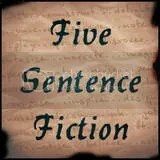 This story is inspired by a prompt from Bloggy Mom’s Writer’s Workshop. Dawson just sprang into my thoughts, his story weaving in and out of my mind as I thought about the prompt. I’m not sure how far I’ll go with his story, how often I’ll add on, or if he’ll develop purely out of prompts and challenges. But that is half the fun when a character springs to life, isn’t it? Enjoy!